Sometimes rules need to be broken for the greater good. That is the view Bay Tree Club residents have taken in regard to a situation they believe literally involves life and death. And they are not going to give up until they have tried every means of getting the rules changed, or at least bent. It all started in December 2015, Libby Sloan explained on April 9, as she and Margi Ryder met with a reporter. 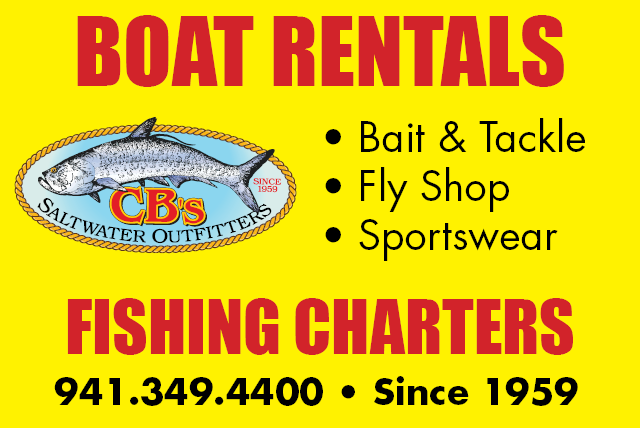 They live in the part of Bay Tree Club that stands next to Little Sarasota Bay, at 8625 S. Midnight Pass Road. The structure is just north of the Turtle Bay and Tortuga Club condominiums. As Sarasota County prepared to renourish Turtle Beach, more people seemed to begin heading south to that destination as an alternative to the increasingly crowded Siesta Public Beach, Sloan said. More people translated into more vehicles passing Bay Tree Club every day, especially during the height of tourist season, Sloan and Ryder explained. 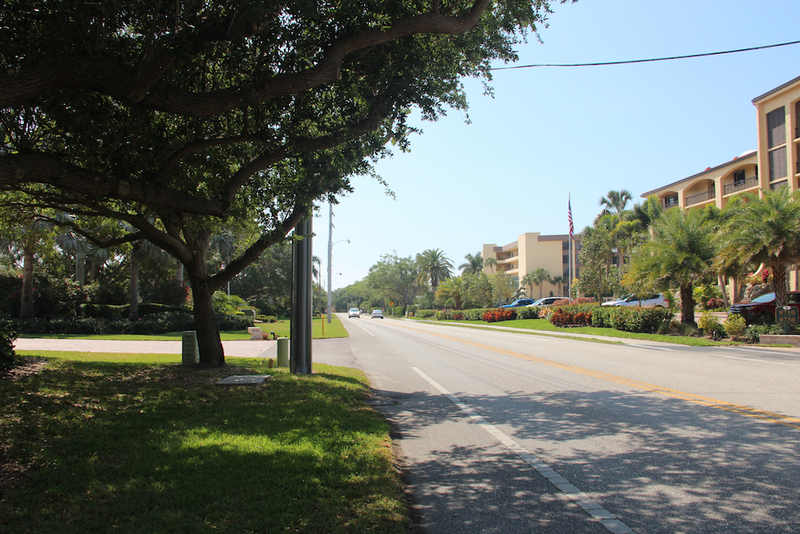 Yet, no crosswalk exists between the Bay Tree Club buildings on the bay side and those on the Gulf side. With a higher traffic volume came increasing stress for people who routinely crossed South Midnight Pass Road. Subsequently, Sloan said, Bay Tree Club representatives contacted Sarasota County Commissioner Alan Maio, who sent their request for a crosswalk to appropriate staff for review. They did not want anything fancy, Sloan and Ryder emphasized. All they had in mind was paint on Midnight Pass Road to indicate that a formal crossing existed there. The initial response, Sloan said, was that a crosswalk could not be provided in the requested location because sidewalks were not on both sides of Midnight Pass Road, just on the west side. “That seems to be the ‘Golden Rule,’” Sloan added of the sidewalk criterion. Bay Tree Club has many older residents and a number of handicapped residents, the women pointed out. One man in his 50s who suffered a stroke takes about 10 minutes to get across the road. “He goes to the pool every day” on the Gulf side of the complex, Ryder explained. “The residents are very good about helping him,” she noted. 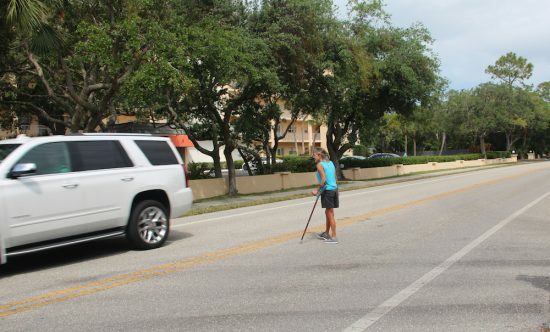 On April 9, Betsy Lynch, who has lived in Bay Tree Club almost two decades, volunteered to demonstrate how difficult it can be for someone to get across the road in the face of oncoming traffic. Lynch uses a type of cane, so she has to take her time. Within moments after Lynch began her trek, an SUV approached from the north, and Lynch kept her eyes on it. As she was at the midpoint of the road, it flew past her without slowing. “Are you serious? !” Ryder exclaimed. “He was far enough back that he could easily have seen you,” she called to Lynch. “We just get the impression that down here, we don’t generate tourist revenue like the north end [of Siesta Key], “that we’re kind of second-class citizens” Sloan said. Recently, the women contacted Gene Kusekoski, who was named president of the Siesta Key Association (SKA) in early March. He came to the Bay Tree Club to get a firsthand look at the situation, they said. Kusekoski indicated he hopes the SKA will be able to help them.